Who doesn’t love cake? I just made a chocolate poke cake with chocolate pudding and it is amazing, and VERY simple. It does take a little longer than a normal cake as you need it to set before putting on the whipped cream, but prep is fast. Check out the video below and the recipe written out. Mix the cake mix, water, oil and eggs until smooth and pour into greased pan. Poke holes into the cake with a fork, wooden spoon handle or even a straw. You can put as many holes as you want. I never realized that you can make a chocolate cake with pudding mix. That is so interesting. I make corn souffle with pudding mix. I guess it makes sense. Sounds and looks delicious. Chocolate is my #1 favorite next to peanutbutter. I have made jello poke cakes, not sure why I never thought about pudding ones. This looks delicious! Yummy! This looks so moist! I've never done anything with poke! I don't know much about what poke cake is.... but I do know that this cake looks good! Can't wait to try this. It will become my Thanksgiving desert. Quick and easy. Everyone (almost) loves chocolate and this is extra chocolate with the pudding. Thanks! Like this looks seriously delicious! I have never made a poke cake before, but I would love to! I think my family would love it. This looks like such an amazingly delicious cake. I am so gonna try this with my kids. I have only made one poke cake before and it was deliciously moist. This one looks good, I like the addition of whipped topping. I love chocolate and this looks so good. Thanks for the recipe! This looks delicious and easy! My kind of recipe! I've never made a bidding cake but this looks so amazing that I am just going to have to. Love love love chocolate! Looks yummy and easy to make. I think it would be a big hit here. I have always liked a goodpoke cake. I love how the pokes make it so much more moist and delicious! Yours looks good! 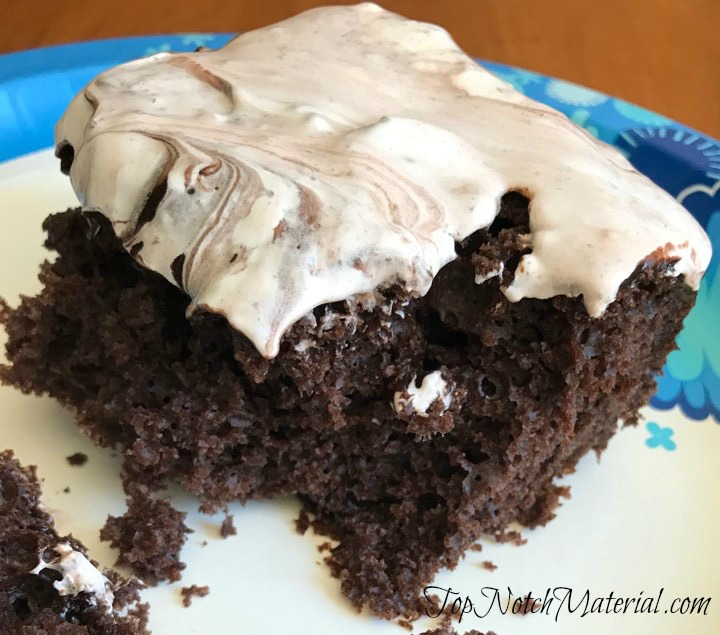 I can not wait to try the Chocolate Pudding Poke Cake Recipe! It sounds so good! Sometimes u just need or just want something like this and it sounds easy to make and it says it doesn't take long cause who wants to wait forever to eat their sinful dessert? I think this sounds like it's going to be very popular at our home!!! That looks like really tasty cake. I would recommend it.